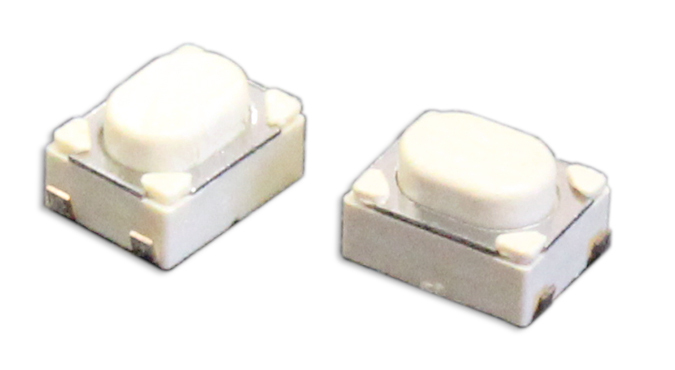 Ultra-small and surface mount, the CS1215 tactile switch is SPST and momentary. 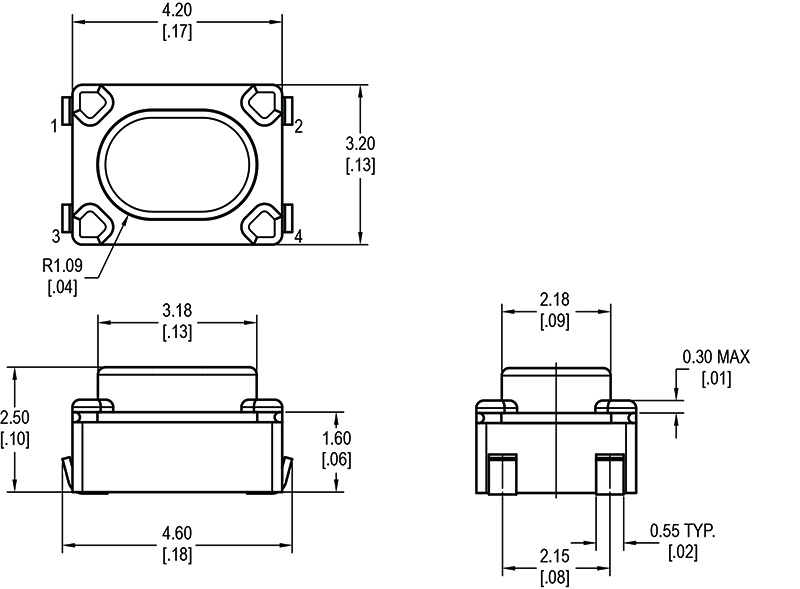 J-lead termination with actuation force options from 160gF to 450gF. This momentary tactile switch has an extended actuator. This single pole single throw switch features silver-plated copper alloy contacts and terminals and 100,000 electrical life cycles.